Nicole Dubuc-Charbonneau is a mental performance consultant and has been a certified professional member of the Canadian Sport Psychology Association since January 2010. 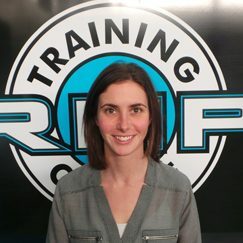 Driven to help athletes achieve greater well-being and reach their athletic potential, Nicole has worked extensively with junior, varsity, and senior level athletes from various sports including gymnastics, basketball, hockey, fencing, curling, running, tae kwon do and swimming. In addition to teaching sport psychology courses at the collegiate level, she continues to research within the field in order to present up-to-date strategies on reaching optimal performance. Whether working with a team or an individual athlete, her applied work tailors to the athletes’ various needs and thus discussions could include topics such as goal setting, confidence, motivation, team dynamics, emotional control, relaxation, imagery, pre-competition planning, burnout prevention, self-regulation and concentration/focus.